Is multi Currency on printed Quotation possible? I need your help please with currency in CRM. I created company and setup as currency GBP. I created opportunity, and it was also in GBP for the forecast value. I then created a quote in GBP, but now I want to quote the same customer Euro prices as well. Screenshot of the quote & then the preview attached. 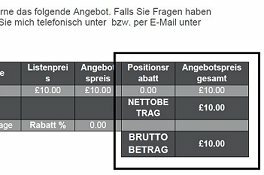 I'm looking to show the 15.85 euro on the printed quote (10 GBP) if possible.